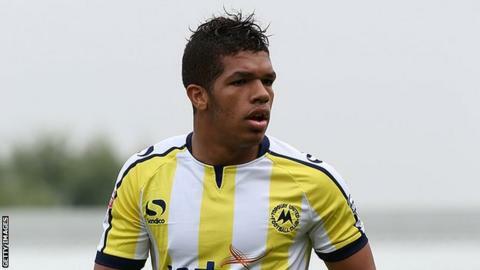 Torquay United winger Courtney Cameron is recovering after being hospitalised. Cameron suffered acute dizziness and headaches and was taken to hospital by team-mate Jordan Chapell. The illness was diagnosed to a nerve issue with his teeth and the 21-year-old former Northampton Town and Aston Villa player has had three removed. "It's quite serious, he's been in hospital for the last week on and off. He's being taken care of and is back home now," said boss Chris Hargreaves. Cameron has not played in December after being in the hope he would rediscover his good early-season form. "It will be like having a new signing as just before this happened he was outstanding in a couple of training sessions, he was really back to his best. "It's is frustrating for him and for us," Hargreaves told BBC Sport. "He was absolutely fantastic, so we were ready to give him his chance again but this happened."